Welcome to the AAEM Store! If you are interested in purchasing 5 or more of any of the books below, or if you are an international customer, please click here to fill out the form or email us at info@aaem.org to complete the order. Orders can also be placed by phone at 1-800-884-2236. AAEM/RSA resident members receive one free copy of the Toxicology Handbook upon joining AAEM/RSA. For additional copies, member rates apply. Now available as an e-resource in your RSA member center! AAEM/RSA paid student members receive one free copy of Rules of the Road for Medical Students upon joining AAEM/RSA. For additional copies, student member rates apply. This handbook is the continuation of a series of Rules of the Road publications circulated by the AAEM Resident and Student Association. 15% discount for group orders (five or more). Setting Up a New Emergency Medicine Business is a comprehensive guide for EM physicians interested in starting their own EM physician practice. This book will address different business structures-their advantages and disadvantages, the steps for setting up your business, and the contracting process. 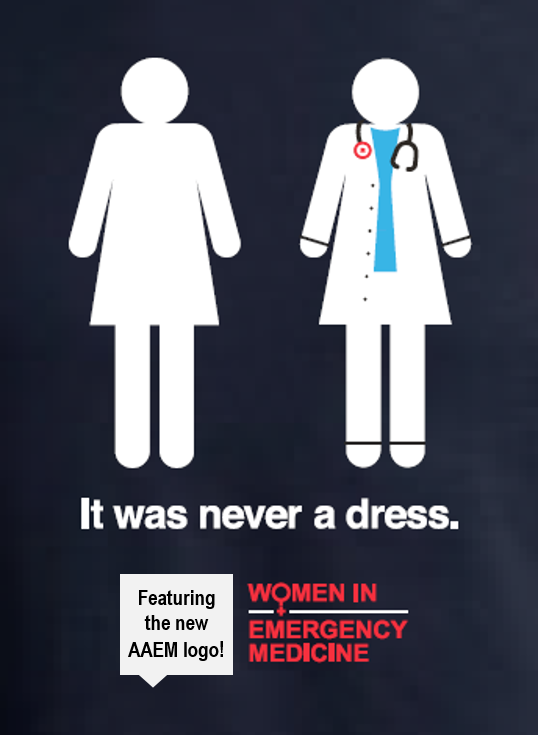 Designed by the AAEM Women in Emergency Medicine Committee. The sales of this t-shirt will benefit the activities and projects of the WiEM Committee. The t-shirts will feature the newly redesigned AAEM logo - which will be revealed at AAEM18 on April 8th! Our sleek, figure-flattering jacket is a warmup or cool down essential. Made to perform, this style has a zip-through collar and plenty of stretch. Its lightweight fabric is great for wearing over your scrubs in the ED. Ideal for year-round layering, our pullover is a true performance piece for running, yoga or just hanging out. Extra stretchy, this pullover features moisture-wicking technology for comfort. Our sleek, figure-flattering jacket is a warmup or cool down essential. Made to perform, this simplified style has a zip-through collar and plenty of stretch. Its lightweight fabric is great for wearing over your scrubs in the ED. This t-shirt is lightweight without being too sheer and has a breathable softness. This t-shirt is pure perfection with its soft and flexible fabric. This fleece is extra soft and delivers comfortable warmth. Black canvas baseball cap with embroidery and adjustable velcro strap. Black silk scarf with red AAEM logos and diagonal lines. Support and represent AAEM by sewing or ironing a patch onto your white coat or back pack. Great gift for yourself or the emergency physician in your life. Perfect for residency graduates! Refund requests must be postmarked within 10 days of shipment. The restocking fee is 50% of the price of the book and shipping and handling charges for returning items are borne by the buyer. If the price of the item is over $75, it must be returned with a traceable shipping service. If the order is valued at $100 or more, it must be insured for the value of the merchandise and shipped with a signature shipping service. Items below $75 should be delivered with confirmation service. The refund will be processed after receipt of the book. No refunds will be granted if there is any evidence of use of the book.